You do not need to register to view the jobs listing. However, if you want to APPLY for any job listed, you must be registered in our candidate database. BentleyPrice.com is not a mass jobs listing website. 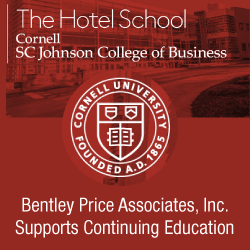 Bentley Price Associates for over 40 years has focused on one-to-one relationships with employers and candidates. We only list jobs that are active searches and every job search is confidential—most of the details are not disclosed publicly. We publish some of our active searches—not all—to attract candidates outside of our usual universe. It is not unusual to find highly-qualified candidates of whom we are not aware. For each search, our staff includes qualified registered subscribers. It is free to register and no candidate pays a fee for being submitted to an employer—or if you are hired. Registrants who have all the required qualifications are added to the potential candidates list for that position. At that point, our staff reaches out to you to discuss the specifics of the position and answer any questions you might, and to get additional information required by the employer. If we both agree that you are a candidate for the position, we will submit you to the employer.